Coleman was chosen by the New York Jets in the fifth round of the 1996 NFL draft. 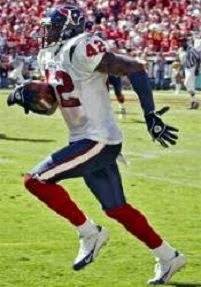 Fast and athletic, he was also a raw talent but moved into the starting lineup at cornerback late in his rookie year. Moved to free safety in ’97 with disappointing results, he became strictly a backup through 1998 but came back strong in ’99 as he returned to the starting lineup at right cornerback and intercepted six passes, one of which he ran back 98 yards for a TD. He became a fixture in the lineup over the next two years, although his performance dropped off in 2001 and he moved on to the expansion Texans in 2002. Coleman started in Houston across from Pro Bowler Aaron Glenn, who he had played in tandem with in New York. With the arrival of first draft choice CB Dunta Robinson, Coleman was shifted to free safety in 2004, with good results (before suffering a late-season shoulder injury) that included a 102-yard return of an interception. He was supplanted by C.C. Brown in ’05 and finished his career with the Cowboys in 2006, where he was released following a four-game suspension for substance abuse. Overall, over the course of eleven seasons, Coleman intercepted 25 passes, two of which he returned for long touchdowns, recovered five fumbles, and was credited with over 400 tackles.